Are you ready for a profound life shift? Phoebe will co-create with you to accelerate your transformation and support you shining your essence in the world in a bigger way. 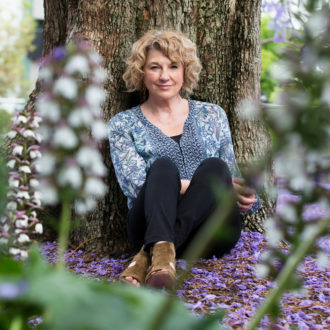 Phoebe Allwell is an internationally sought after registered psychotherapist, master healer, educator, and pioneer of the Embodied Presence Process and Neural Transmission Repatterning (NTR) Therapy . She has been leading innovation in the field of Integrative Energy Medicine Therapy for over 16 years. Through her individual sessions and workshops Phoebe specializes in helping individuals, healers, therapists, teachers and leaders explore unresolved emotions, anxiety, past traumas, PTSD and chronic pain to bring about therapeutic change and repattern neural pathways so that you can transform unconscious patterns, psychological blocks, and physical pain to be all of who you are- shining your full essence into the world. Phoebe’s holistic Embodied Presence Process includes an integration of relational gestalt psychotherapy, body awareness psychotherapy and embodied sound therapy and energy medicine therapy for physical, psychological and spiritual wholeness. Phoebe provides customized support for her clients to learn more about themselves, heal from the past and resolve current challenges. Her therapy recognizes and honors the wisdom of the body to support you finding your voice, personal empowerment and self-expression. Phoebe is a member of PACFA (Psychotherapy Counselling Federation Australia). Curious How She Can Help You? Schedule a complimentary 20 minute phone consultation to get clarity and support on a path forward. "I have had therapy sessions with Phoebe Allwell, both in person and by telephone. Her sessions are profound, energising and uplifting. For some time my life has been fraught with difficulties, stress, upheavals and tragedies. Working with Phoebe enabled me to work through these feelings in a comforting and non confrontational way. What I recognised about myself was that I had the strength, courage and steadfastness to transform and transmute these stuck energies into a flowing, detached stream of loving and appreciative energy. I am eternally grateful for the insights, the tenderness and compassion that Phoebe gave me." "My work with Phoebe has helped me experience my essence and healed much inner fear and anxiety as the vestiges of old trauma have been cleared from my cells and my brain refreshed. I feel secure and safe within my body and move with freedom and confidence that are new to me. Joy and wonder in feeling connected to myself and to my soul and greater mental clarity and focus are part of my new experience."